So there we were…riding the ferry through the bright blue waters of the Indian Ocean, anxiously awaiting our arrival to the magical island of Zanzibar. Stepping down off the boat, the winding streets and exotic feel of Stone Town made it hard to think about ever leaving this alluring place. 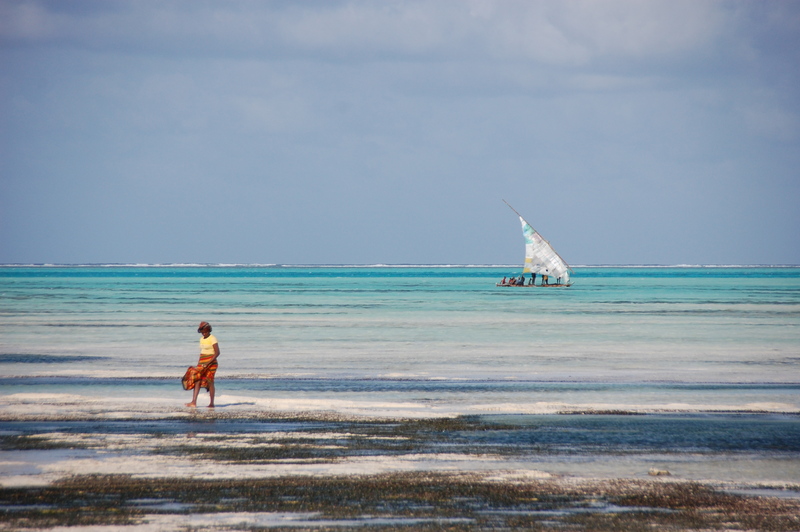 A few hours off the coast of Dar Es Salaam, Tanzania, sits the Zanzibar archipelago, a small chain of islands surrounded by crystal clear blue water and white sand beaches. 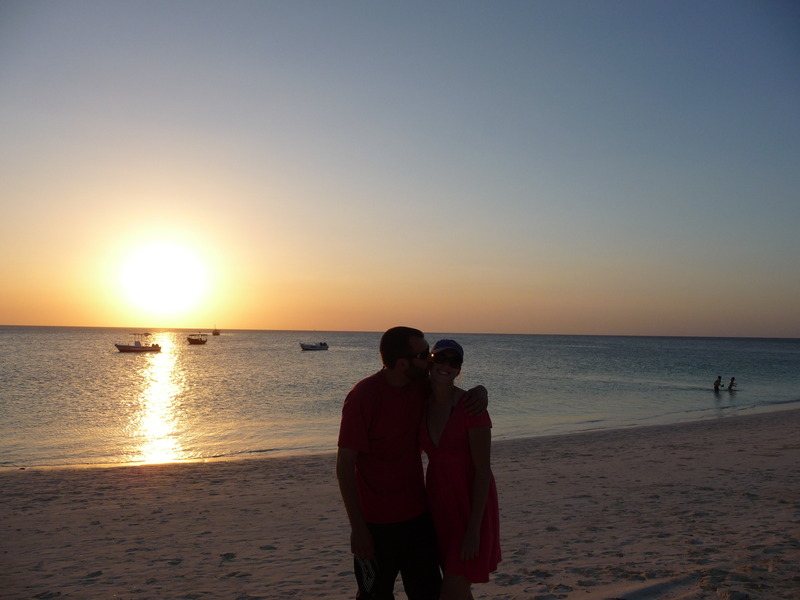 Zanzibar, being the largest and most visited island, had been on our minds since landing in Nairobi a few months ago and after reaching the base of Kilimanjaro, it was all we could think about. 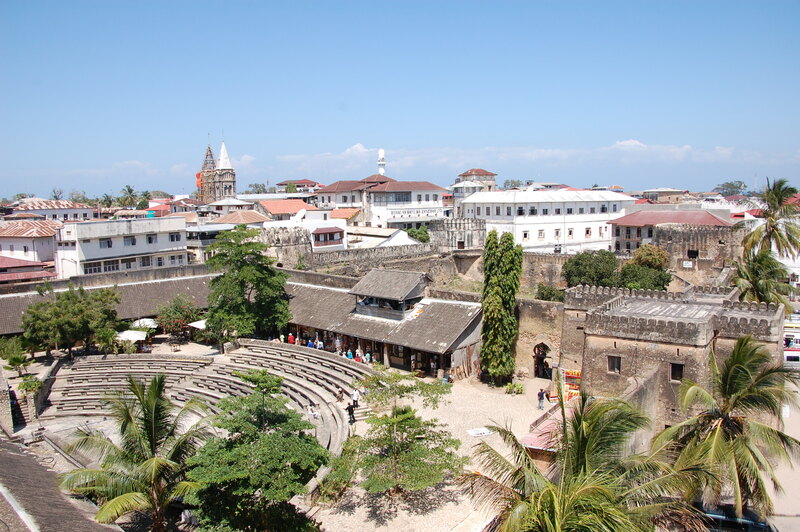 Stone Town, the heart of soul of Zanzibar, was an easy place to use as a base to explore the island. The cobblestone streets wind through old historic buildings, mosques and shops. We wandered for hours getting lost in the narrow, colorful streets of the city. Stone Town was East Africa, India, and The Middle East all rolled into one – like no place we have ever seen. After a few days exploring the capital, it was time to head out to the beach. After renting a car, we headed east to the small village of Jambiani. The turquoise water and laid back vibe of this part of the island was just what we had been looking for. The ever-changing tide creates a stunning ocean backdrop of blue/green waters coming and going throughout the day. 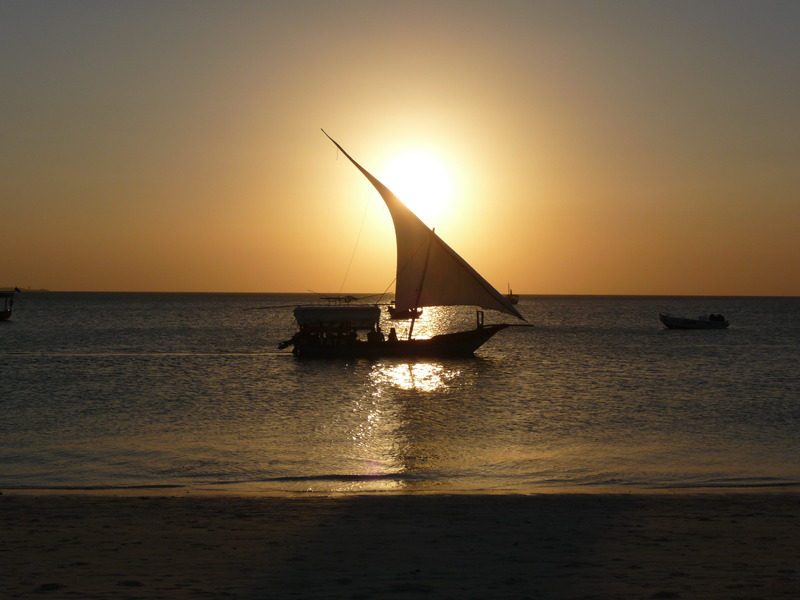 Dhows (local fishing boats) glide back and forth making the scenery picture perfect as you relax in the sand. 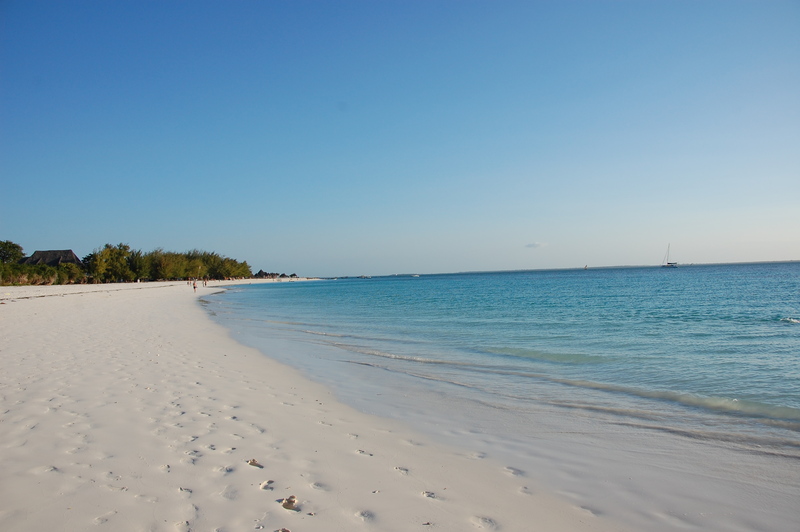 Wanting to stay longer, but having to get the rental car back, we drove back to Stone Town, dropped off the car and then headed north to explore another part of the island. A quick mini bus ride brought us up to Kendwa where we quickly found out the vibe is very different from Jambiani. With no major tides coming or going, you can swim here all day drawing a much more lively crowd of people. We met some great people (including someone from Colorado!) on the mini bus up to Kendwa and spent the next few days loungin’ at the beach during the day and then partying at the beach bars each night with them. 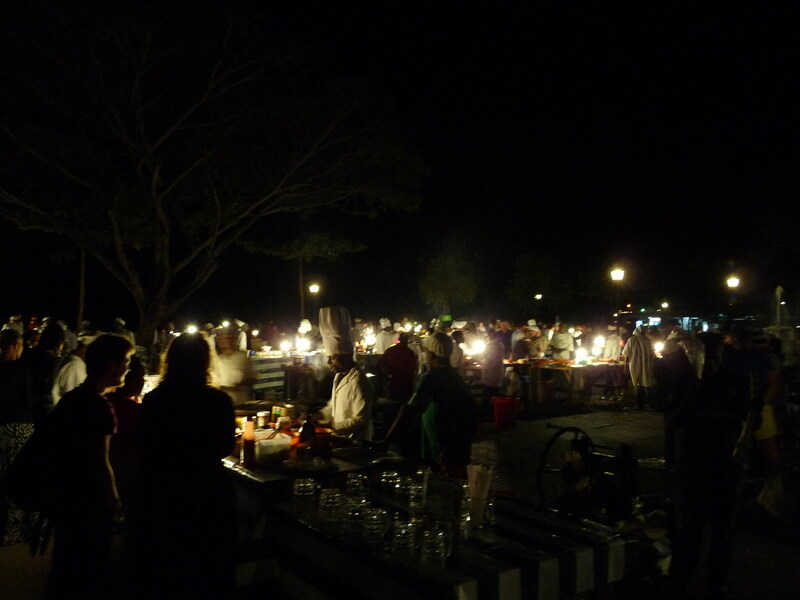 We happened to be there when one of the popular full-moon parties was going on, which provided for a great night of dancing and Konyagi (local poison) drinking. We are looking forward to seeing how the FM party compares to Koh Phangan, Thailand. Sun-baked and utterly relaxed, it was hard to convince ourselves it was time to leave such a lovely island. But with a tentative schedule to keep, we knew it was time to move on. Back to Stone Town and on the ferry to the mainland, we said goodbye to Zanzibar, hoping one day to return and experience its charm all over again. The vomit party on the fast ferry back from Zanzibar to the mainland (we took the slow ferry going out and it was much easier on the stomach). Luckily we were supplied with “sick” bags, which locals and tourists alike used throughout the 90 minute journey. 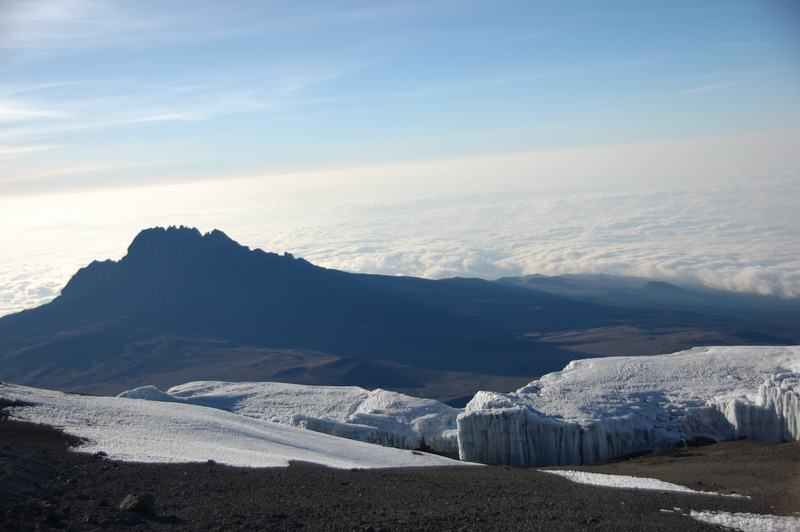 So there we were…exhausted, without feeling in our fingers or toes when, as the sun rose around us, we slowly reached the summit of the largest mountain in Africa. Barely able to move our hands or take a picture, the accomplished feeling of reaching the top warmed our bodies. 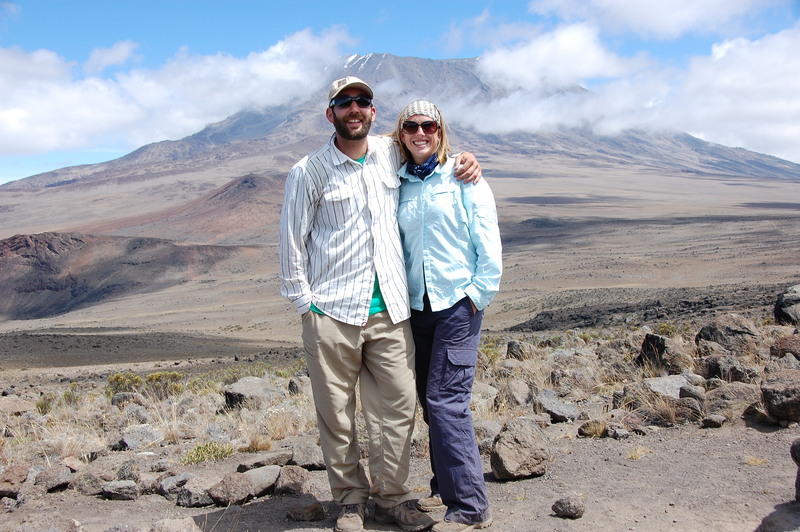 The journey to Kilimanjaro was a bumpy, dusty one, down through Rwanda and across western Tanzania where we eventually arrived in Arusha after several days on long buses. Not quite at the base of the mountain, it was a good place to chill out before heading off on the 5 night/6 day hike. 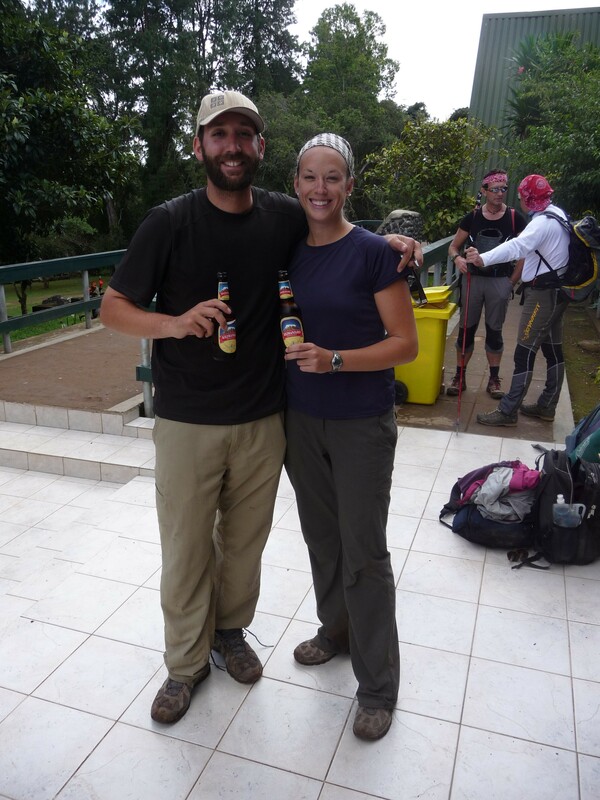 We chose the Marangu (Coca-Cola) route which entails several 3 -5 hour hiking days, each bringing you to a base camp where you relax, eat and sleep. For the first three days, the hike was very easy and deceiving. We quickly made our way up to 9,000 ft then onto 12,500 and finally 15,500 where we prepared for the final stretch. 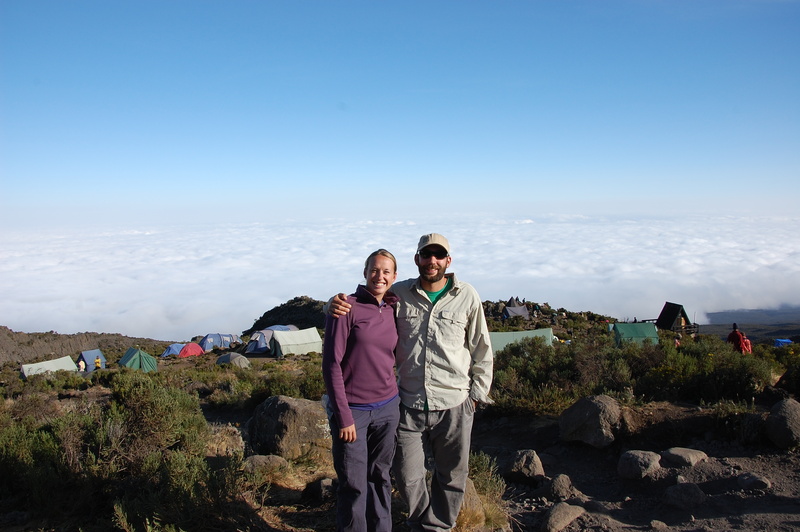 The fourth day of hiking, which took about 4 1/2 hours, brought us to the 15,500 ft Kibo Hut. There we tried to rest and sleep before our midnight departure for the summit, but it was quite hard with the snoring people in our shared hut. A 11 pm wake up call, along with a headache from the altitude, came quickly as we awoke from our short “nap” and it was time to begin the final stretch. 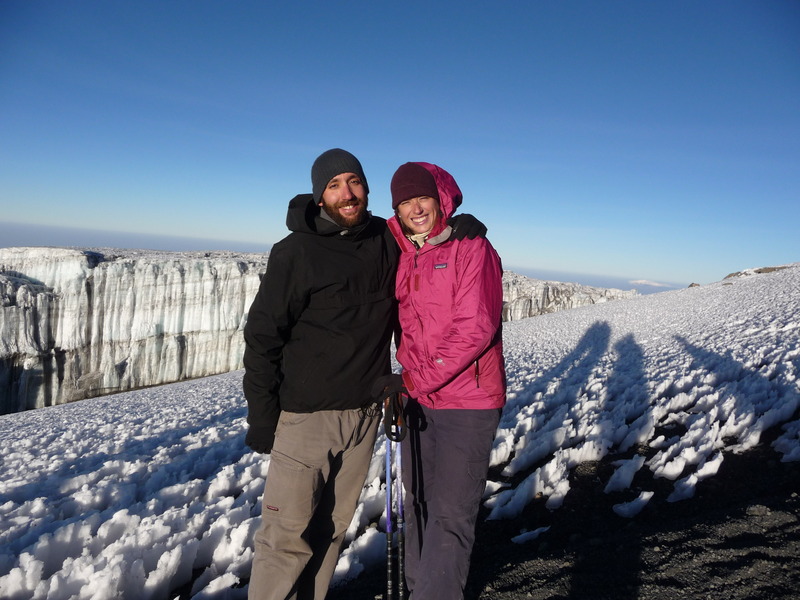 Pitch black, tired and freezing, all we could do was go slow (pole-pole, slowly-slowly in Swahili) and follow our guides feet in front of us as we traversed up the mountain. Deo, our guide, and Alley, our assistant guide, encouraged us to take our time, but to keep moving to stay warm. Fighting a headache and and a queezy stomach, we pushed our way up to Gilman’s Point at 18,700 feet. Five hours after we started and not even at the actual summit, we were relieved to arrive at this point. After a short drink of water, Deo told us it was time to move again. Legs weary and freezing, a look at the 5 am time on our watch made us ask “we paid for this?” We continued on for the toughest 1,000 foot climb we have ever faced. Deo continued to tell us that the last stretch was “easy” compared to what we had already conquered and to keep pushing forward, but our tired bodies were not moving at the same pace from the days before. Soon though, the sun began to rise and with that, came hope that the summit was near and warmth was coming. Leaning on our walking poles more than ever, we could see the top, but with each step, it seemed endless. Glaciers and snow came into view and we could hear the shouts of the first people of the day to reach the summit, giving us more hope than ever that we were close. 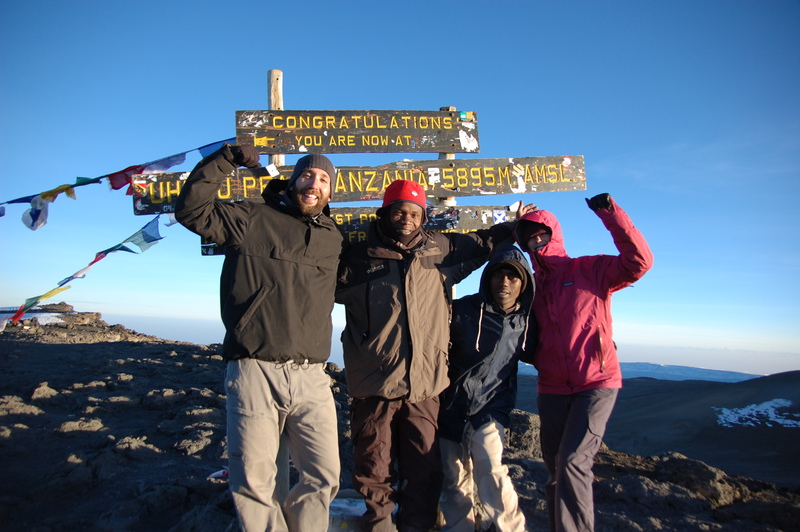 Finally, at around 6 am, we arrived at Uhuru Peak. At 19,400 feet, we had made it. We felt on top of the world with the blue sky above us, the clouds below us and the warm sun all around us. Having someone swipe our debit card numbers and pin from an ATM we used and hacking into our checking account. They took $2000 from Becky, luckily none from Jason, but both cards had to be canceled. Money has been replaced and we are working on getting new cards. Definitely the biggest low light so far, but we are working through it and are now more careful than ever when taking money out of any ATM.